From a "store" full of 100% free stuff to the baby from Labyrinth, we take a look back at the stories you loved most this year. 1. Toby, the Baby from Labyrinth, Grows Up to Be a Goblin King—in Portland: “The babe with the power” now works at Laika and screened a new goblin movie of his own making. He told us about growing up surrounded by faeries, and what he did to David Bowie the first time they met. 2. Toby Froud’s New Puppet Film Returns Us to the Magical World of Labyrinth and The Dark Crystal: If the sold-out world premiere was any indication, audiences are ready to return to the enchanting realm of puppet goblins, faeries, and imagination. 3. Guide to 2014 Summer Concerts and Festivals: From Pickathon to Edgefield to the Oregon Zoo, we shared all the updates on this summer's outdoor music schedule. 4. Ursula K. Le Guin Burns Down the National Book Awards: The local literary supernova brought the book world to its feet with an acceptance speech that censured Amazon and sparked an international frenzy. 5. 7 Wonders of Oregon: Travel Oregon released a pride-swelling video campaign surveying some of the more mind-blowing destinations in our state. 6. 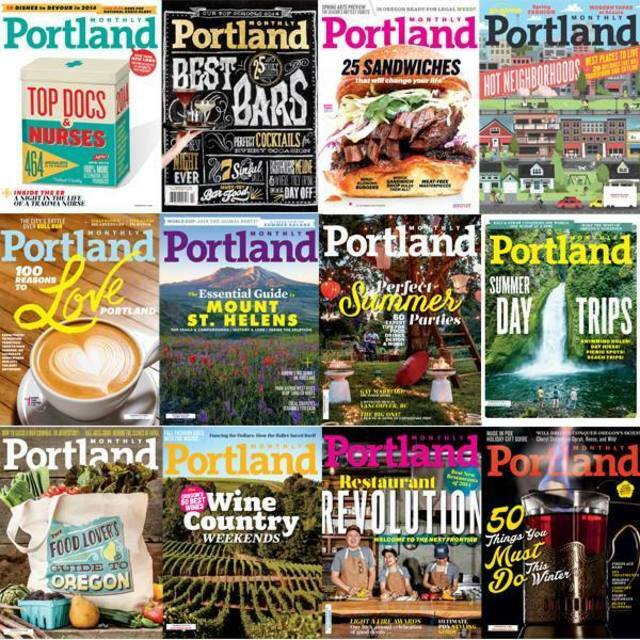 Portland Gluten Free Food & Drink Guide: From 100% gluten-free restaurants, breweries, and bakeries to fine dining destinations with dedicated GF menus, we rounded up our go-to spots for gluten-free dining. 7. Portland's 10 Best Airbnb Rentals: As the couchsurfing website planted its roots in Portland, we revealed Portland's best Airbnb rentals to stash your guests. 8. Where Do Portland's Best Chefs Eat on their Own Time? From pop-up chefs who gorge on Asian noodles, empire-builders who lunch at “prison-like” taquerias, and a James Beard Award winner who swears by Elmer’s—Portland chefs devour this town. 9. Wildwood Closing After 20 Years in Northwest Portland: Two decades after Cory Schreiber debuted his farm-centric vision of Pacific Northwest dining, the landmark restaurant closed its doors. 10. Inside North Portland's SamplingLab, Where Everything Is Free: An innovative Williams Ave. business trades complimentary products for candid feedback.